hikes, activities and restaurants. 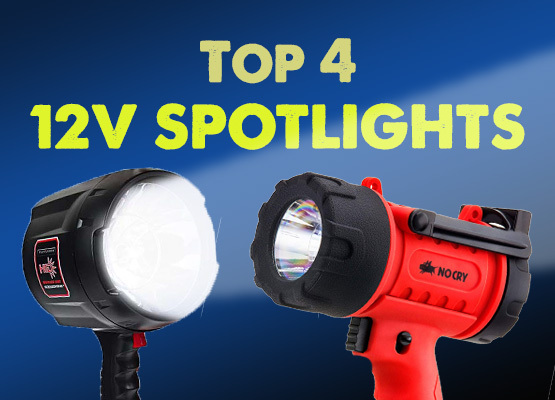 We hope that this will serve handy for anyone looking to do a similar trip, whether you’re rocking your own camper van or simply car camping with a tent! 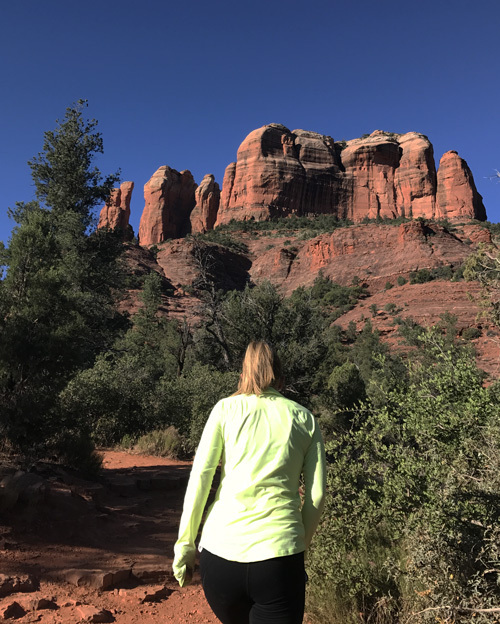 We hiked 11 miles throughout the day in Sedona and loved each of our hikes for different reasons, there are so many hike options we recommend doing a few hikes during the day for more variety. Cathedral Rock Hike: A short 1.5 mile hike that involves climbing over large boulders for a portion of the hike. Beautiful vista at the top. Parking is limited, come early in the day. Solider Pass/Brin Mesa Loop: A moderate hike through Red Rock Secret Mountain Wilderness, great variety of landscape and views of the Sedona area. It is labeled as 5.5 miles but my fitbit measured closer to 6.5 miles. Red Rock Crossing Trail: Easy 1 mile trail with pretty views and swimming areas. Slide Rock Park: popular recreation area with trails and a creek perfect for swimming. Gets crowded on the weekends. Sedona is famous for their ‘energy vortexes’. If you’re interested in aligning your spiritual energy (sure, why not) here is a list of their locations. Finally, we watched the sunset at Airport Mesa and hiked to the nearby Airport Vortex about 1/2 a mile away. Even if we didn’t feel the powers of the vortex it is worth visiting for the views. Get there well before sunset because it gets crowded even during the week. Parking at the top of the hill was $3, which is worth the convenience. We saw more than a few people getting parking tickets for apparently not knowing what a red curb means. We had an amazing lunch at Tortas De Fuego. We stopped for coffee and breakfast sandwiches at Creekside Coffee. Overally, we got the impression that it is hard to have a bad meal in Sedona. Other recommendations from locals included: ChoclaTree, Elote Cafe, Indian Gardens Cafe for deli sandwiches (near Slide Rock). One of the nicer resorts in town, Enchantment Resort, has happy hour on the patio Happy hour from 2 – 6 PM. We wanted to find a campground north of Sedona to make the trip to Grand Canyon the next day slightly easier. Both Manzanita campground and Pine Flats Campground were simple, easy campgrounds but were close to the freeway so there is a bit of traffic noise. A note on camping: we spent the majority of our nights in paid campgrounds. The bathroom and showers were nice to have, and we enjoyed being able to hike directly to a lot of the attractions. But free camping is available at many of these locations on nearby BLM land – check out FreeCampsites.net or Campendium for more info. Why Flagstaff, you ask? Due to a large, unexpected pothole, we found ourselves in Flagstaff with time to kill while our van was in the shop. Lucky for us, Flagstaff is an awesome little college town with lots to do (and drink) in a quaint downtown area. Thorpe Park is a great city park with tons of hiking trails and a frisbee golf course. It is easy to walk to the park from downtown. Breweries: Flagstaff Brewing Company, Mother Road Brewery, Dark Sky Brewery, Lumberyard. These are just a few of the breweries we saw walking around town. We had an amazing lunch at with HUGE portions at MartAnnes Breakfast Palace. While we only stopped for coffee, The Toasted Owl is a cute brunch restaurant with a large open patio. Our biggest recommendation for visiting the South Rim of the grand canyon is to start your day early, the park gets very crowded and parking very difficult. By late morning busloads of visitors are descending on the most popular lookouts so hit those first. 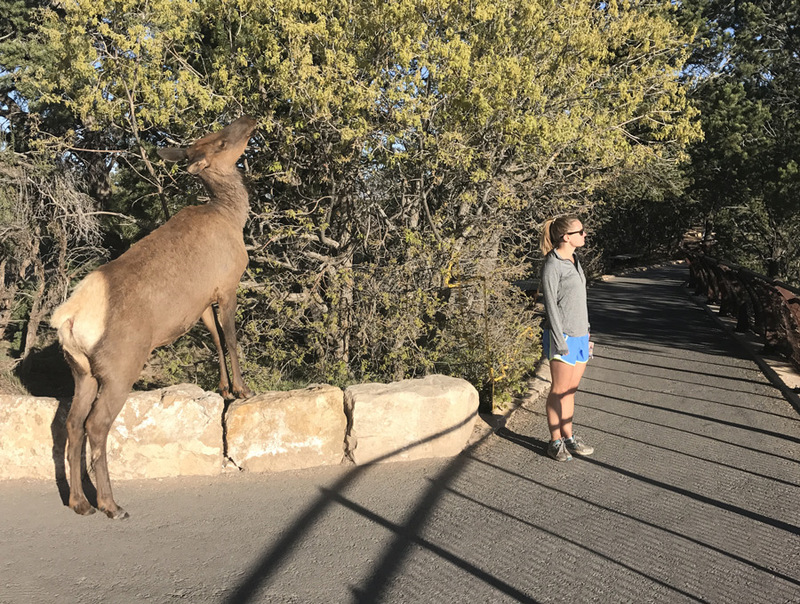 Our initial plan was to try to camp at Desert View Campground on the east part of the park, spend the day hiking the Kaibab trails and then return to watch the Sunset at the Desert View Watchtower. Unfortunately, due to our van problems we weren’t able to make it to the Grand Canyon in time to get a spot at a campground in the park- we ended up driving down to Tusayan about 6 miles south of Grand Canyon Village, since there is no overnight parking in the park outside of the two campgrounds. Kaibab Trail to Cedar Ridge (3 miles total roundtrip). We loved this moderate trail that gives a taste of what it is like to wget below the rim with beautiful vistas throughout the hike. Skeleton Point (6 miles total). If you to go further than Cedar Ridge- recommend hiking further to skeleton point. Rim trail: this is a flat, easy trail (paved, mostly) throughout most of the mesa on the south rim. An easy hike and recommended to reach less popular viewpoints and hikes from the main parking lots and shuttle stops. Viewpoints for sunset: We enjoyed the sunset from Desert View Watchtower, and also recommend checking out Hopi Point or Lipan Point. There’s obviously a lot to do in the Grand Canyon. 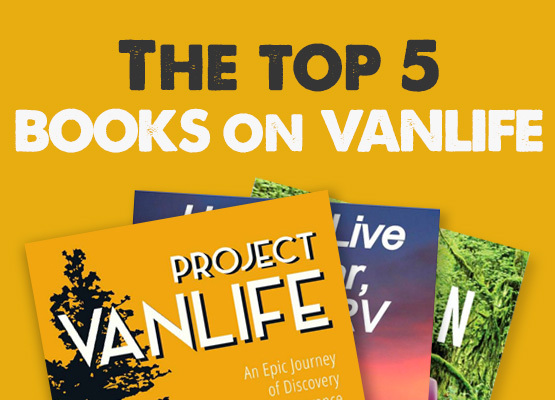 Check out this Lonely Planet guide for more info! Desert View Campground – Near east entrance. All campsites first come first serve. No showers, but generally less crowded than Mather campground. Grand Canyon Mather Campground– a very large campground near the Grand Canyon village. Some reservable campsites, some first-come first-served. Showers available, but this campground fills up quick, so check in early. Ten X Campground is in Tusayan south the grand canyon. However, it was closed during our visit. • Horseshoe Bend: This instagram-famous photo site is well worth a 20 minute stop, just 5 miles south of Page. It is an easy walk from the parking lot, very popular and likely to be full of tourists during high season. If you want less crowds, go in the morning; if you want an amazing photo of the sunset… go at sunset. • Upper vs Lower Antelope Canyon: Both canyons are very popular and across the street from one another. Upper Antelope Canyon is famous for its light beams, however, they are only present when the sun is directly overhead. If you are committed to seeing the light beams, you must book far in advance- and beware the upper canyon is about twice the price. If you are unable to get a reservation during high noon at Upper Antelope canyon, we highly recommend Lower Antelope Canyon. There are two tour groups operating in Lower Antelope Canyon, Dixie Ellis and Ken’s Tours, both leaving every twenty minutes from 8AM-4PM and appear to give very similar tours. We were able to visit without a reservation but it does get busy during summer so be sure to look at their schedule ahead of time. • Nearby Lake Powell has lots of boat tours and water activities to cool off! • Tours of the Valley: it is possible to do a self-driving tour through the valley with an entrance fee of $20. 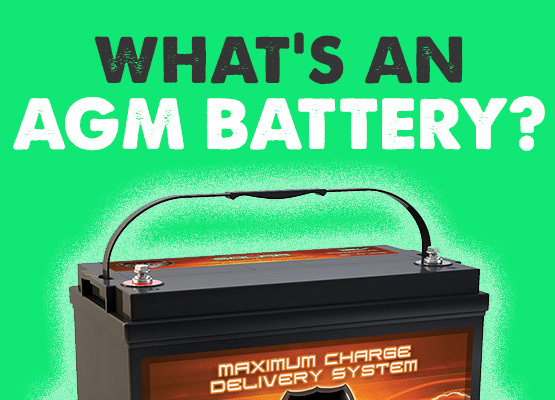 If your transportation is not totally reliable in off-road situations, their are probably a dozen companies offering tours of different lengths throughout the valley. 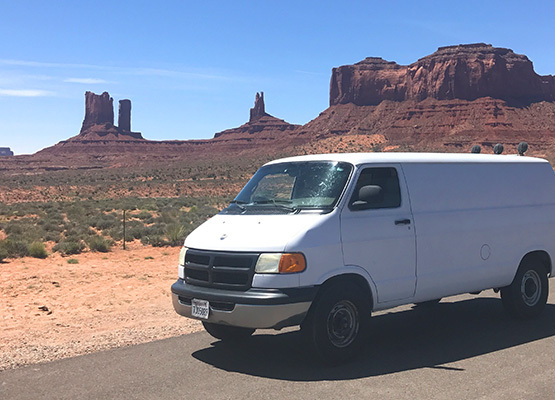 We enjoyed Monument Valley Safari, and would recommend their tours. Book ahead for cheaper prices or book same-day at the main entrance. These tours bring you farther into the park (well past what is allowed in your own vehicle), and offer a great deal of information and photo pointers! 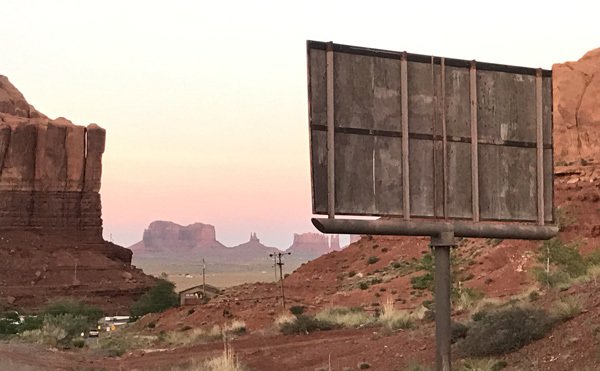 We chose not to spend the night in Page and rather drive over to Monument Valley. There is not much happening in the town of Page and the camping options were expensive. There are several basic camping options in Monument Valley, including some free areas without toilets near the entrance the official park. We chose to ‘splurge’ on the $30 campground of Gouldings but the availability of a pool, showers and laundry made it worth the price. All of the below campgrounds are close to the park and conveniently located. Monument View – part of a new resort over looking the famous Mitten Buttes. The campsites are away from the parking so it would not be a good option if you are sleeping in your car. The drive from Monument Valley to Moab is yet another beautiful ride through Utah. You will drive right by Bears Ears National Monument, the controversial park currently in the spotlight as its designation as a national monument is being reconsidered under our new presidency. Along the 191 freeway, in a small town named Blanding, we found a delicious burger and milkshakes at the Patio Drive In. Between Arches, Canyonlands, and the town of Moab there’s a lot to see, so we recommend at least 2 days in the area. Moab had event posters throughout the city, look up a calendar of events ahead of time! Book ahead of time. The best formal campgrounds in Moab or in the nearby national parks book up early. If you are able to get there early there are tons of BLM campgrounds near the Colorado River. 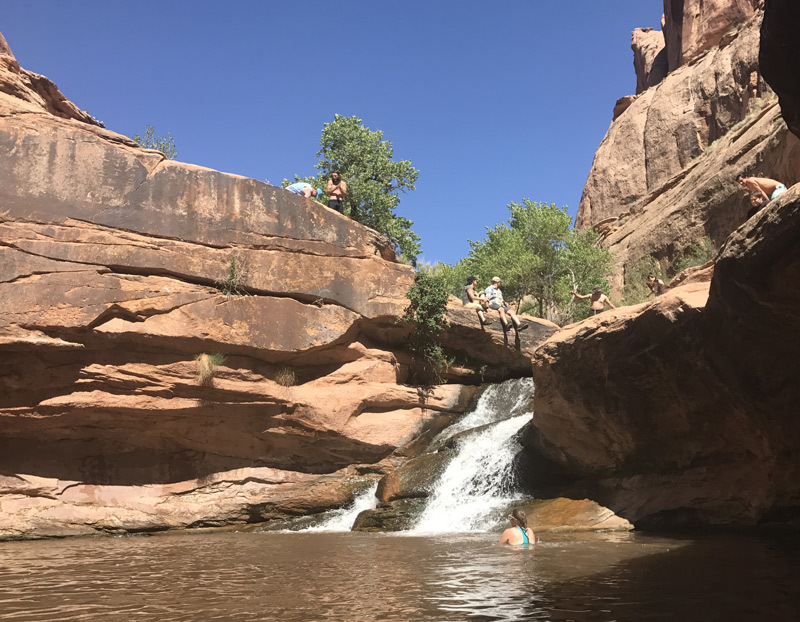 We decided to stick near the bustling town of Moab, and really enjoyed our stay at Up the Creek Campground, which is in the middle of town, but its right next to a beautiful creek, has warm showers, a wash sink, and still feels like you’re in the woods. Compared to other national parks on this trip we spent more time driving within Canyonlands, however we were consistently blown away at each viewpoint of this park and would definitely recommend stopping, even for just a half day. Canyonlands is divided into 4 districts, Island in the Sky, the Needles, the Maze, and the Rivers. The area most accessible from Moab is Island in the Sky, where we spent our entire day. We are not bikers ourselves, but were told by other travelers that the biking trails at the rim and in the canyon are excellent. As you’re driving into the park, Dead Horse Point State Park has a nice overlook. Mesa Arch. The easy trail is about half a mile and should take about 30 minutes round trip. This is the most photographed point in the park, very popular at sunrise. Grand View Point Overlook– a must stop during your visit. Beatuful overlook along with 2 mile round trip trail that winds along the canyon even further. Upheaval dome- Walk around this crater (of unknown origin) for a 1.5-3 mile hike depending on your preference. Here is a more complete one day Canyonlands itinerary we found useful during our planning. After a day of driving around Canyonlands we were ready for some serious hiking in Arches National Park. We came to Arches on a Friday in early May and it gets crowded, we recommend getting early because parking at popular trail heads becomes a problem later in the day. We based a lot of our day off of this One day in arches guide. The Devil’s Garden is a must see. If you are up for it, hike the primitive trail for a chance to see 7 arches in 7 miles. The Delicate arch – A popular 3 mile hike to see this arch, famous for being on the Utah license plate. The Windows section of Arches is a must-see and easy to stop in on your way in or out. Walk the easy uphill trail to see North and South Windows and Turret Arch. Right across the street is Double Arch- a fun place to climb under two connected arches. We stayed overnight in BLM land off Wild Horse Road. We loved this experience! 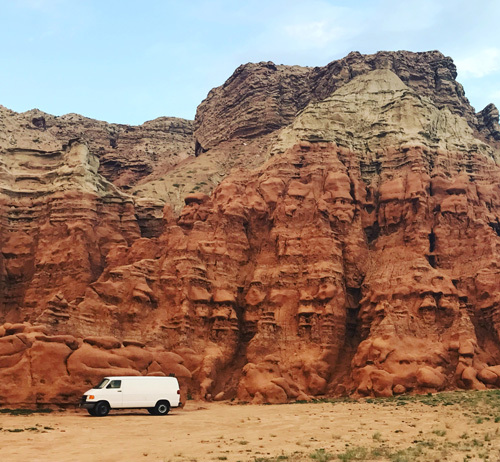 Follow the dirt roads around the mountains and you may begin to see RVs, vans, and tents tucked away in the rock formations. 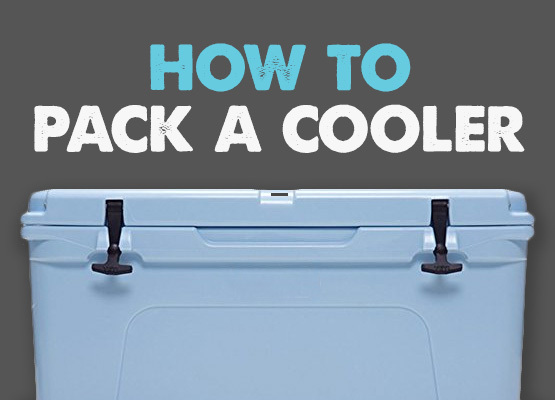 We used this guide to help find the camping- but part of the fun is finding a private area yourself. Otherwise, there is also camping within the park. Scenic drives, petroglyphs and natural arch formations are the highlight of this park. Depending on how much of your day you would like to spend driving vs hiking pick between the Scenic Drive or one of several easy hikes to bridges (Hickman Bridge or Cassidy Arch). Seasonally, there are pick-your-own fruit orchards open in Fruita- a Mormon pioneer town in the middle of the park but it was closed when we were there. 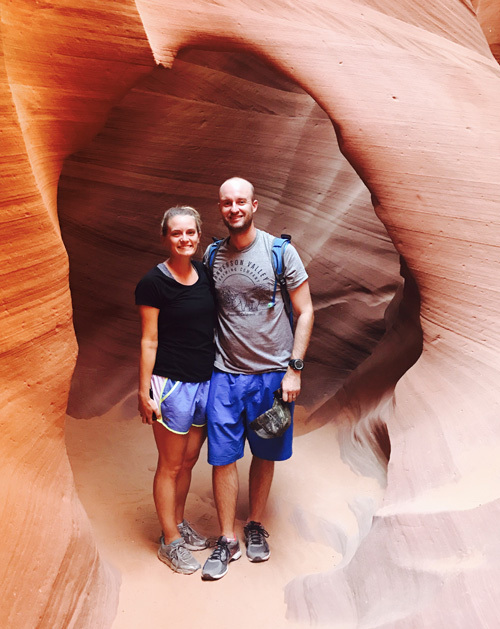 Our highlights: Escalante- we weren’t able to stop for the popular waterfall and slot canyon hikes but I wish we had time. Kodachrome Basin State Park– just a few miles off the road before reaching Bryce Canyon. We also stopped at the Escalante Petrified Forest State Park– a quick stop off the freeway for an minimal fee there is a two mile round trip hike to see a good amount of petrified wood. Hell’s Backbone Grill– a cute farm-to-table restaurant right on the freeway near Boulder, Utah. Kiva Koffehouse– It would be hard to find a coffeeshop with a better view. Only open April-October. Fruita Campgrounds are the popular, developed campground within Capital Reef. It is all first come, first served. Bryce Canyon North or Sunset Campground (both first come, first served). Here is the NPS list of alternatives near the park. If you choose to see Capitol Reef during the day and start along the Scenic Highway 12- there are many cmaping options along the way depending on how far you would like to travel. Here is a list of options. Bryce Canyon ATV Adventures – if you are willing to splurge we loved this 3 hour ATV tour. Navajo Trail/Queens Garden Loop– A 3 mile hike into the canyon, with up close and personal views of the hoodoos. It is possible to extend the hike and combine with Peekaboo trail. Fairlyland Loop– If you’re looking for a more serious day hike, check out this strenuous 8 mile loop. Viewpoints in Bryce: There is a easy trail along the rim of the canyon connecting all of the viewpoints. It is hard to pick a favorite, each viewpoint of the canyon hoodoos is equally spectacular; we recommend checking out all the viewpoints along the rim from Sunrise to Inspiration Point. Two campgrounds within Bryce Canyon: North and Sunset– both have some first come, first served spots. When we arrived around 1 PM both still had availability and the ranger told us they were both great- so pick whichever as your base when you arrive. We enjoyed Sunset campground, a little bit further from the visitor center- it did seem to fill up around 3/4 PM. Outside of the park there is camping 9 miles away in at BLM’s Red Canyon campground. Only open seasonally- call ahead, the schedule was not up to date online when we were traveling. We were personally not used to using a Shuttle to get around a National Park but it is unavoidable at Zion. Read more about it here to help plan your trip. 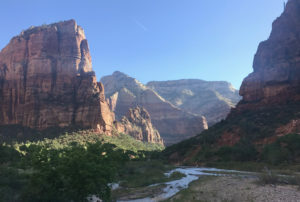 Get you’re hiking shoes ready, again, because Zion Valley is full of hikes, ranging from a few hundred yards to many miles long. Angels Landing- if you don’t mind heights this strenuous hike is a must do. It is very popular so we recommend starting early in the day to avoid both crowds and the heat. It is about 5 miles round trip. Watchman Trail– Moderate 3 mile trail near the entrance to park and our campground. It was less crowded than other parts fo the park with a great viewpoint at the top. Canyon Overlook Trail- If entering from east on 9 this trail will be on your way to the main section of the park. A short 1 mile hike with great views. The Narrows- closed during May for us due to high water levels. Check ahead of time- we will have to come back! Here’s a great recommended list of hikes with lots more info! Zion campgrounds book early and are very popular with families. We were lucky to get a last minute cancellation spot at Watchman campground. South Campground has first-come, first-served spots that fill up by early morning in spring-fall. If you are unable to book a spot early keep looking for cancellations, otherwise there are many camping options in Springdale and you can take the shuttle from town into the park. It is nice to be able to stay in the park in order to be able to walk straight to the park shuttle. The nearby town of Springdale is a bustling town for its size with many restaurants (and bar) choices- we only stopped for one meal but had a great lunch at Oscar’s Cafe, and we had heard great reviews of Spotted Dog. There is a decent sized grocery store in town for restocking. We hope this helps you plan your own campervan itinerary through Utah’s national parks and beyond! However, our own trip didn’t end here – stay tuned for a similar writeup on 1 week in the Humbolt/Redwoods area of Northern California, coming soon!